If there is any light you should be attentive of it is the low coolant light for sure. Though, when the light comes on there is no immediate danger that would require you to abandon your vehicle, but stopping your car is heavily recommended. 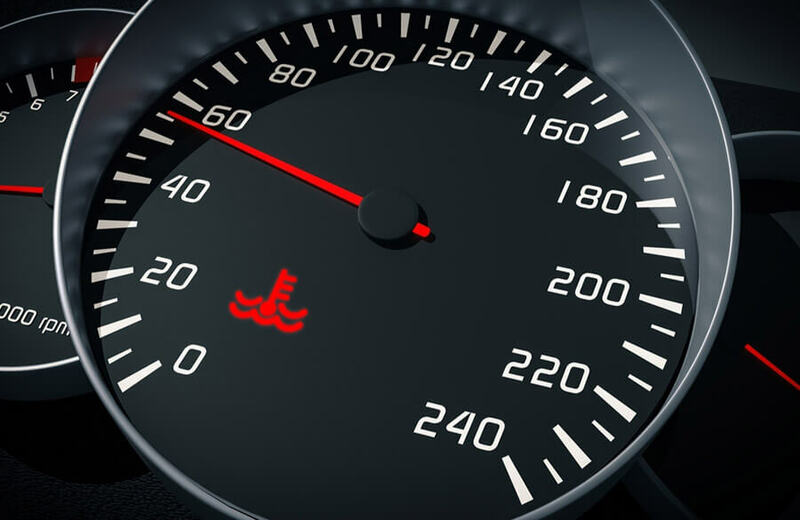 Continually driving with a low coolant light on could cause severe damage to the internals of the engine. What Is the Importance of the Engine Coolant? Before providing you with the reason for your low coolant light to illuminate, it is important to understand exactly what engine coolant is and the importance of keeping it filled in your vehicle. 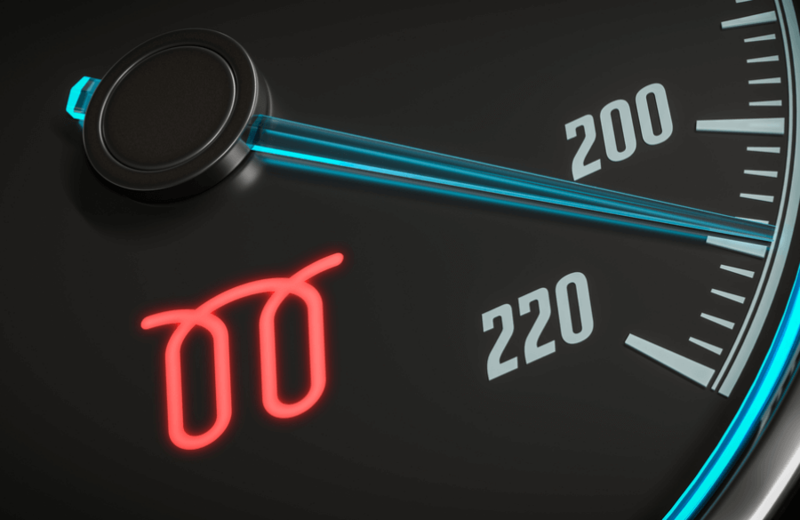 When vehicles are actively operating, they tend to create a large amount of energy by burning up the gas in the fuel tank. This energy is divided between allowing the vehicle to accelerate forward and the remainder of the energy is converted to heat. This heat is either expelled through the exhaust while some remains inside the engine block. Since so much heat is dispersed when operating car engines, they require a way of cooling down, or else the internal engines will melt from the inside out. This is where the engine coolant, a water-based solution, comes in handy to absorb the heat from the engine. Since the engine coolant becomes hot it is transferred to a radiator located at the front of the vehicle. This will allow the coolant to sit stationary inside of the radiator in front of the outward facing vents to be cooled by the air as you drive your vehicle. Avoid Breakdowns with Included Routine Maintenance! Because the composition of engine coolant is comprised of water and antifreeze you will notice its bright colors. Manufacturers purposely make the coolant vibrant colors so there is no confusing a leak, as coolant is an important component to maintain a healthy engine. What Causes Low Coolant Light to Come On? There could be a plethora of reasons as to why your low coolant light comes on, as the system in which it runs is exceptionally complex. The safest way to ensure you find the solution the first time is to bring your vehicle to a mechanic. Though, it’s worth it to troubleshoot your own vehicle before bringing it into a repair shop to see if you can resolve the issue yourself. If you notice your coolant level low but no leak there is a chance you have run through your remaining coolant. The easiest way how to fix low coolant is to begin filling your coolant back to acceptable levels and allow the coolant to soak back into the system. Upon opening your radiator cap, you will see indicators such as “max” and “min” which indicates the level of the coolant mixture currently in your tank. Simply filling your vehicle’s tank to an acceptable level (underneath the “max” line) should solve the low coolant issue, though constant monitoring for the week after filling it is recommended to ensure there is no coolant leaking. Warning: NEVER open the radiator cap immediately after turning the car off, as the pressure of the outside air combining with the heat of the coolant may cause it to splash and cause third-degree burns. Wait a couple of hours after parking your vehicle to remove the radiator cap. If you notice your low coolant light on after starting up your vehicle for the first time you may have a coolant leak. One of the easiest ways to confirm this is by placing your vehicle in neutral and pushing it back to look underneath the area where the car is parked. It’s important that you push the car rather than drive it, as if your car is low on coolant the engine block could potentially crack, costing you thousands. Since coolant is manufactured as a vibrant color you will be able to see it immediately. Though, if the leak isn’t as severe you may find slow leaking or dribbling out of the sides of the coolant reservoir. This can be met with one of two options, you could simply bring your vehicle to a mechanic to have the coolant reservoir leak fixed through a tank replacement or purchase a coolant leak sealer that when mixed with the active coolant inside of your tank and will begin an internal bonding process to fill in any cracks or gaps. Consult with a mechanic before inserting any coolant sealer into your revisor to mitigate any accidents or damage. This solution may be the easiest of the list, but it is also the least likely to resolve your issue. When you have a bad radiator cap you will notice a lack of suction and leaking emitting from the cap itself. If this is how your vehicle’s radiator cap looks then spending the $6 to replace it is a must. Despite that it may not fix the issue, it will make troubleshooting much easier. Warning: NEVER open the radiator cap directly after turning the car off, as the pressure of the outside air combining with the heat of the coolant may cause it to splash and cause third-degree burns. Wait a couple of hours after parking your vehicle to remove the radiator cap. Unfortunately, the hoses routing from the engine to the radiator can become loose or become brittle over the years. One thing you can try is to park your vehicle overnight over a tarp and see if there are any leaks, then in the morning go underneath the vehicle and feel the hose and the radiator hose clamps around it. If you can tighten the clamps you may be able to stop the leaking, but sometimes tightening the clamps will change nothing. If this is the case the best solution is to bring your vehicle to the mechanic, as replacing the routed wires is not a simple task by any means and takes knowledge and time to replace. If you notice a radiator hose leak you may still be able to drive your car to the mechanic before reaching the dangerously low levels of coolant in the vehicle. One of the last remaining things you can check is the coolant temp sensor and if it has gone bad. When the low coolant sensor goes bad you could have a perfectly operable tank and no leaks, just a bad sensor or light that will illuminate due to a bad reading. This may seem like a DIY job, but it is actually a very complex repair to tackle. We recommend allowing your mechanic to replace the sensor as it could require removing the coolant tank. If you have gone through all the other steps checking how to get low coolant light off or after attempting a fix your low coolant light comes on and off intermittently, it may be time to take your vehicle to a mechanic. Since the last thing you want to happen is the check engine light low coolant temperature light to double up on your dashboard before having it fixed. Our Ultimate® Savers Club may be your answer to an unexpected repair bill.